We run through key highlights from the second day of this year’s Vancouver Resource Investment Conference in this pictorial overview. It’s a wrap for this year’s Vancouver Resource Investment Conference (VRIC). Held this past Sunday (January 20) and Monday (January 21), the event was well attended, with many presentations standing room only. If you weren’t able to make it to the two-day show, don’t worry. The Investing News Network team was on the floor covering talks and panels, speaking with analysts and of course tweeting throughout the day. Click here to see our overview of the first day of the show, and scroll on to see our recap of day two. Day two began with a focus on uranium, first with a talk from Marin Katusa of Katusa Research on “the next 10x bull market,” and then with a panel featuring execs from Ur-Energy (TSX:URE,NYSEAMERICAN:URG), Denison Mines (TSX:DML,NYSEAMERICAN:DNN), Fission Uranium (TSX:FCU) and Uranium Energy (NYSEAMERICAN:UEC). Moderated by Katusa, the discussion covered a variety of topics, with prices and Section 232 developments featuring heavily. Precious metals producers took the stage afterwards in a panel led by Peter Spina of GoldSeek.com. 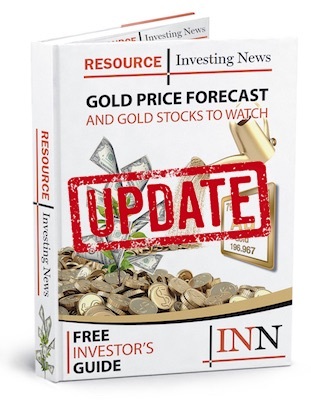 Last week’s deal between Newmont Mining (NYSE:NEM) and Goldcorp (TSX:G,NYSE:GG) was a hot topic, with participants expressing varying opinions on the tie up. Peter Spina of @GoldSeekcom leading the precious metals producers panel now at #VRIC19 – Phil Baker of Hecla Mining says it’s too soon to tell whether the recent mega-mergers are good. Will depend on how they are executed. Keith Neumeyer of First Majestic Silver (TSX:FR,NYSE:AG) commented that the recent M&A activity among majors is “just the tip of the iceberg,” but said it will not immediately trickle down to juniors. Speaking about silver, Neumeyer said that the metal is rarer than people think, although he doesn’t believe in peak silver. In a separate conversation with Spina later in the day, he spoke further about silver supply and demand dynamics. Mercenary Geologist Mickey Fulp was unmissable as he led a walking tour midway through the morning. The morning also included presentations from Chris Blasi of Neptune Global and Thom Calandra of the Calandra Report. Blasi covered Neptune Global’s PMC ounce, while Calandra led a discussion on Canada’s Abitibi region. Chris Blasi of @NeptuneGlobal speaking now at #VRIC19 – explains that precious metals don’t move in lockstep, so it’s important to diversify. Brent Cook of Exploration Insights was also on stage on day two to discuss exploration due diligence, with tips on how to interpret data and understand when (and when not) to give up on a project. As usual, the Yukon had a major presence at VRIC, and a core shack was set up at the Yukon Pavilion Monday afternoon for hands-on investors to explore. While metals companies dominated the event, Eira Thomas of Lucara Diamond (TSX:LUC) caused a stir at her fireside chat with Katusa, displaying a replica of a diamond that sold for over US$50 million. The second half of Monday brought more panels on topics including lithium and vanadium; ever-popular uranium also made another appearance. Toward the end of day two, Peter Schiff of Euro Pacific Capital shared his thoughts on interest rates and the US Federal Reserve, explaining that even though markets seem to have bounced back we are still headed toward an “inevitable recession.” In his opinion, the Fed will have to come to the rescue (via quantitative easing) at some point in 2019.
.@PeterSchiff speaking now at #VRIC19 about the #Fed and interest rates. Says few people now expect hikes in 2019 – that’s the opposite of what was thought just a few weeks from the end of 2018. The day closed out with a panel featuring newsletter writers Spina and Cook, as well as Nick Hodge of the Outsider Club and David Morgan of the Morgan Report. While in general they expressed that sentiment in the resource space isn’t overly positive right now, Hodge suggested that this means there is still time to choose winning stocks. All four newsletter writers shared a stock pick with the audience before heading out. Stay tuned as we begin to post video interviews and other coverage from VRIC. VIDEO — Section 232: Why is the American Government Investigating Uranium?